I hope this post makes sense. This has been a stressful and tiring few days putting the finishing touches on our student written plays. There are always so many little problems to find solutions for to prepare for performances. All that work means I haven’t had time to continue reading Brené Brown’s latest book Rising Strong. So when we have an argument with a loved one, or someone at work, we tell ourselves their side of the story so we can get that rush of chemicals and feel better. The thing is, we’re probably lying to ourselves. We can’t possibly know how the other person was feeling, or what they were thinking during the argument. We tell ourselves stories about all kinds of encounters. Yet, if we want to grow, we have to deconstruct our own emotions over the encounter. One of the things I love about Brené is that she tells stories about her own life struggles. She just puts her own process out there for her readers. She’s vulnerable. That’s something I’m struggling to be, open, honest, and transparent. So, here goes. I sometimes encounter people who want to tell me how to do my writing process. That irritates the heck out of me, especially if they aren’t writing themselves. Going back to another Brené Brown book, Daring Greatly, if you’re not in the arena, then I don’t want to listen to your criticism, or helpful hints about how to do my job! In my opinion every artist has their own unique process, which should not be interfered with. As a teacher, I seek to guide students to find their own creativity not make them cookie cutter extensions of me. So, when someone, who is not a writer, gives me advice, I make up all kinds of stories in my head about why they do that! I want to blame them for being controlling, or superior when I have no idea why they feel the need to “help” me. But what I’m really doing when I blame them, is avoiding something inside myself, or failing to set my boundaries. These are the things that are going on in my head, “I’m new to writing. I’m not an expert. I flying by the seat of my pants and following some invisible creativity muse that only I can hear. Or maybe I’m just crazy.” I mean, I make up all kinds of stories about me, and the other person when they try to HELP me. When I should just calmly set a boundary and say that if you’re not an artist of some kind, then I would appreciate it if you didn’t tell me how to do my job. No blame, no shame. I won’t tell you how to live your life. I’ll be there for you if you need me and I may ask for your advice from time to time, and within those guidelines, we can still be friends. The interesting thing is, I don’t tell myself stories when my writer friends make comments on my work. They are in the arena with me, struggling just like I am, so any help they can give me along the way is welcome. 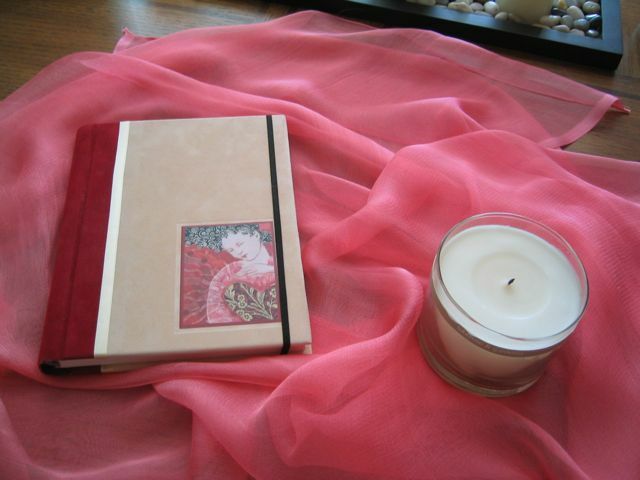 Brené suggests you get a journal and investigate your negative feelings when they arise. They are sign posts pointing you to something vital that you need to deal with. I’ve been keeping a journal for almost forty years and I can say without a doubt, it is one of the most valuable personal growth tools I’ve got in my self-help tool box. I use my journal to examine the stories I make up in my head for big devastating events, and small irritating ones as well. Lately, I’ve been writing about my issues with people who are trying to help me. I understand you want to help. But sometimes creativity is a solitary process and the best way you can help an artist is to allow them to do their process and just support them with silence and good thoughts sent their way.